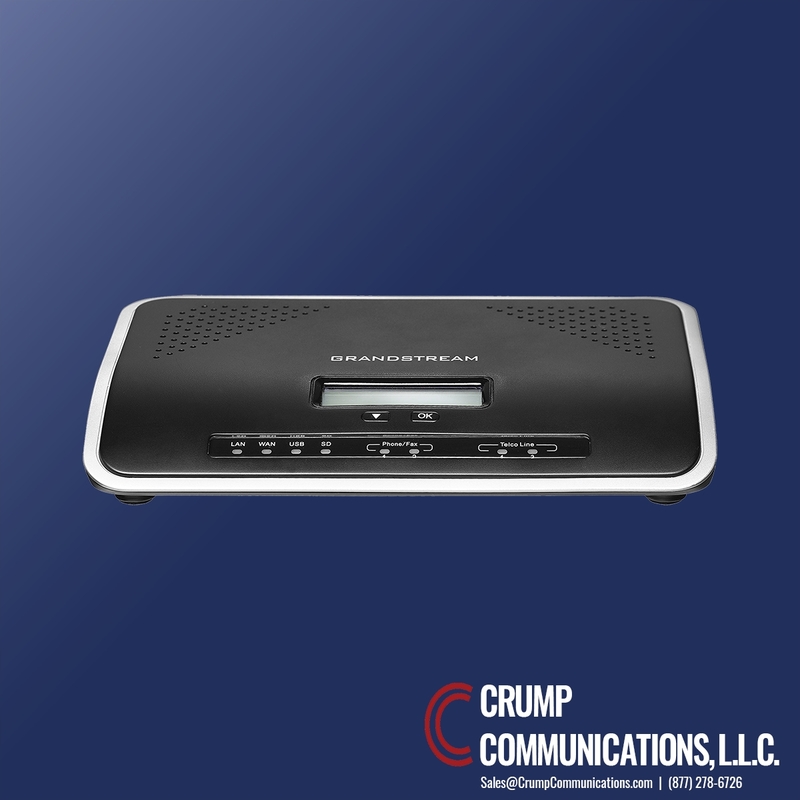 The Grandstream UCM6202 allows businesses to unify multiple communication technologies, such as voice, video calling, video conferencing, video surveillance, data tools, mobility options and facility access management onto one common network that can be managed and/or accessed remotely. The secure and reliable UCM6200 series delivers enterprise-grade features without any licensing fees, costs-per-feature or recurring fees.supports up to 500 users and 30/45 concurrent calls, 3 conference bridges and 25 conference participants. 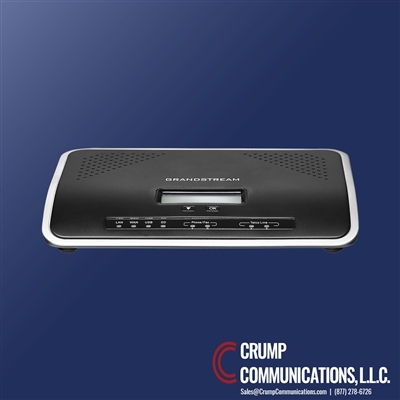 This UCM6202 features integrated LAN/WAN 2/4/8 PSTN trunk FXO ports, 2 analog telephone FXS ports with lifeline capability and up to 50 SIP trunk accounts, up to a 5-level IVR(Interactive Voice Response), and virtually unlimited peering for multi-site deployment. Other features include a built-in call recordings server accessible via web user interface, and built-in Call Detail Records (CDR) for tracking phone usage by line, date, etc. Supports multi-language auto-attendant and call queue to efficiently handle incoming calls and supports any SIP video endpoint that uses the H.264, H.263 or H.263+ codecs. The Grandstream UCM6202 is an advanced, easy to manage IP PBX appliance for the SMB market operating an enhanced version of Asterisk, with the strongest possible security protection using SRTP, TLS and HTTPS encryption.